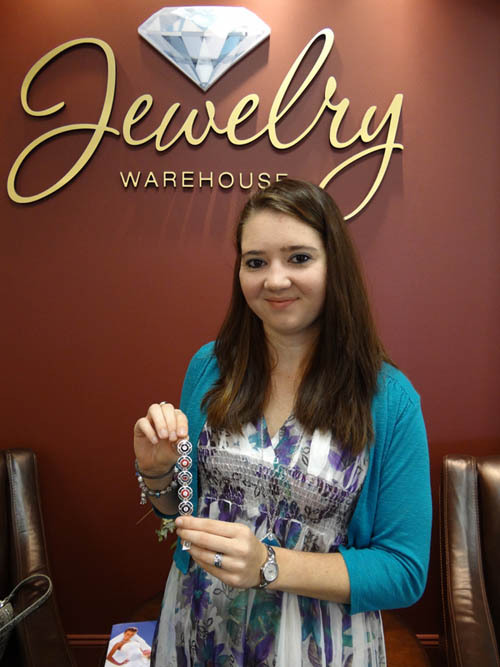 Today’s Employee Jewelry pick is from Caroline, at our Harbison store. She picked the lovely jewelry of Kameleon. Why did you pick Kameleon? 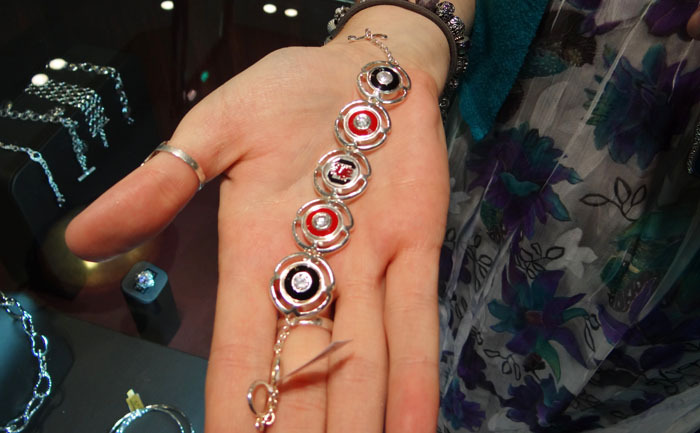 – Because they are interchangeable pieces that can go in a variety of necklaces, bracelets, earrings, rings and more! How many times can you pop in and out the Jewelpops? – Jewelpops are good for over 5,000 pops in and out of your jewelry pieces. (Info from Kameleon) In all our testing each rubber seal continued to function after 5000 cycles. It is important to note, that even if the seals do wear out your JewelPop will not fall out nor is it broken. Simply replace the seal with a new one and you are good to go. Replacement seals are available from all Kameleon retailers. Will the Jewelpops fit any piece of Kameleon jewelry? – Yes, they are all interchangeable! Is Kameleon Jewelry appropriate for any time of occasion? – Yes, you can wear them for casual wear, or we have jewelpops that are more fitting for an evening out! Anything else you would like people to know? – You can special order belt buckles and zipper pulls for Jewelpops! You can go to also go to www.kameleonjewelry.com and register to win free pops! To see our entire collection of Kameleon Jewelpops, click here. This entry was posted in Employee Picks, Jewelry and tagged employee pick of the week, kameleon, kameleon jewelpops, kameleon jewelry. Bookmark the permalink.